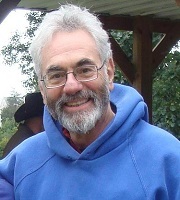 Steve Klepetar’s work has received several nominations for the Pushcart Prize and Best of the Net. Three collections appeared in 2013: Speaking to the Field Mice (Sweatshoppe Publications), Blue Season (with Joseph Lisowski, mgv2>publishing), and My Son Writes a Report on the Warsaw Ghetto (Flutter Press). An e-chapbook, Return of the Bride of Frankenstein, has recently been published as part of the Barometric Pressures series of e-chapbooks by Kind of a Hurricane Press.